I am a member of the Chennai Trekking Club. We are carrying out relief and rehabilitation efforts after the devastation caused by the recent floods in Chennai and Cuddalore. On the ground during the past weeks and involved in clean-up and rehabilitation efforts across Chennai and Cuddalore, are several volunteers of the Chennai Trekking Club led by the founder Peter Van Geit. We have seen several homes and farm lands destroyed, cattle lost/died, children's education stalled, people's lives crippled and their future snatched away. I am Running the Half Marathon in the Wipro Chennai Marathon 2015 which is being held on Jan 31st, 2016 (earlier scheduled on Dec 13th, 2015 - but shifted due to the inclement weather). I would like to make this Run meaningful and help to give the people of Cuddalore some hope to look into the future that has now been snatched away by Mother Nature. I request you all to join hands with me and contribute in lighting the lives of the people and children in Cuddalore. 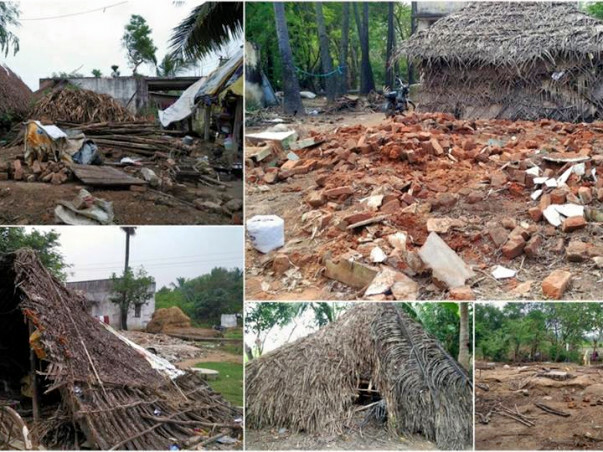 Cuddalore is the most affected district in the recent floods and CTC's teams have been scouting over the past few weeks to identify the most affected villages that require immediate rehabilitation. Kalkulam village is situated few Km from Poothambadi village. Around 450 families are staying in this village. 90 percent of the people are doing agriculture. Farm lands - Majority of the people are involved in farming activities. For the past two months they have not been able to do any farming activity. The river was breached in three places and deposited huge amount of soil across the paddy lands damaging their crops. The deposited is also diffciult to remove. Hence, the farmers are planning to use more fertilizers (eg: gypsum) and manure to get yield. The farmers request for funds to procure the fertilizers and manure. Providing pottery wheel and soil - The flood washed away people’s pottery wheels, belongings and soil they kept for making pots. 6 pottery wheels has already been provided. We need funds to procure the soil for them to make the pots. Providing lost pigs - Around 5 families were staying in that village who earn money from Pigs. Around 20 pigs died and 5 were brought into the flood relief. Funds are required to buy piglets which they can rear and earn money out of it. As part of this campaign, my goal is to raise a minimum of Rs.50,000 to help the farmers to get back on their feet and start leading their lives independently. We have teams scouting these villages and understanding their essential needs and help to provide the most needy. Any little contribution will help in lighting the lives of these needy people. You may get more information on the rehabilitation efforts carried out by CTC by visiting the website: www.chennaitrekkers.org or by visting the Chennai Trekking Club Facebook page. 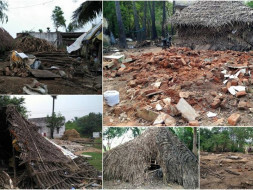 You may also contact Mr.Prabhakar (9840130464) who is leading the rehabilitation efforts in Cuddalore or contact me to understand the efforts that the team is carrying out.